Hospice has taught us that each journey is uniquely personal. The treatment routes selected, the comfort measures chosen, the care options preferred all specific to the individual. At Avalon Hospice and Palliative Care San Diego, We provide care and support to our patients and families at a time when people feel most vulnerable and afraid. We help our patients regain their sense of control over their lives and help them preserve their dignity. This is important to them, and it is equally important to us. Every day is about celebrating the journey of life with patients and their loved ones. We are here to support our patients and caregivers so they don’t feel alone. To provide direct patient care in the home and support family/caregiver in a coordinated manner with an interdisciplinary program using existing resources and avoiding duplication of services. To offer short-term inpatient care when the patient’s pain and symptoms must be closely monitored in order to be controlled, or when the family/caregiver needs a rest from the tedium and stress involved in caring for the patient. To maintain a commitment to realistic, cost-effective management, utilizing all available mechanisms for payment, to retain management responsibility for the patient’s care in the utilization of direct and indirect services. To make hospice and the hospice philosophy an accepted part of the health care system and to increase awareness concerning the needs of the dying. To provide a continuum of care which recognizes and responds to the physical, social, spiritual, emotional, and other needs of the patient and family/caregiver. 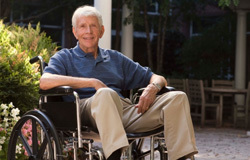 We deliver state-of-the-art hospice care services with identified centers of excellence. We engage in a wide range of continuing education for hospice personnel and volunteers, as well as other educational programs for professionals and the public. Avalon Hospice & Palliative Care provides an individualized program of physical, emotional, spiritual, and practical care for people in the last phases of a life-limiting illness, with an emphasis on control of pain and other symptoms. The program is reflective of a spirit and idea of caring that emphasizes comfort and dignity for the dying, making it possible for them to remain independent for as long as possible in familiar surroundings. 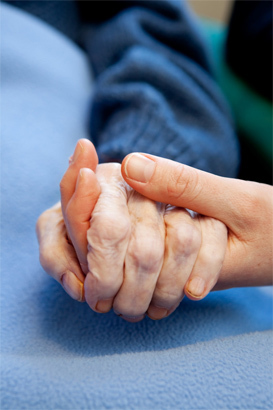 Hospice care is centered on both the patient and family/caregiver. 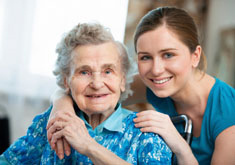 Hospice personnel respect and respond to the unique differences in family/caregiver, lifestyle, values, and wishes. Utilizing an interdisciplinary group approach of physicians,nurse practitioners, nurses, social workers, therapists, homemakers, hospice aides, volunteers, spiritual counselors, bereavement counselors, and others. Avalon Hospice & Palliative Care provides palliative care in the home, short-term inpatient services, mobilization and coordination of ancillary services, and bereavement support. Services will be equitably distributed to a medically and financially diversified group of patients in a cost-effective manner which ensures adherence to the goals of Avalon Hospice & Palliative Care and the maintenance of the financial solvency of the organization. Hospice exists in the belief that through appropriate care and the promotion of a caring community, patients and family/caregivers will be free to attain a degree of mental preparation for death that is satisfying to them. Avalon Hospice & Palliative Care recognizes these values and their roles in fulfilling this mission. We recognize the unique physical, emotional, psychological, and spiritual needs of each person receiving hospice care in the home. We strive to extend the highest level of courtesy and service to patients and family/caregivers, visitors, and each other.